When Ambivalence Avenue came out in 2009, I quipped that this was a new and invigorated Bibio — Bibio 2.0 — an artist finally stepping out of the BoC meets folktronica shadow that both propelled and pigeonholed his sound. Ambivalence was exciting, fresh, and a solid leap forward for UK producer Steven Wilkinson. Now, Wilkinson has returned, hot off the heels of his lauded breakout album on Warp, with Mind Bokeh. The new album carries much the same tone as Ambivalence, combining playful vintage melodies and summer-fuelled beats — but it also sees him venturing even further out of his folky-comfort zone and pushing into new sonic territory. Wilkinson’s vocals are more prominent in the mix this time around, and with “Take off your Shirt”, he tries his hand at Phoenix-style pop, using a chunky riff and cheesy lyrics with the hopes of creating a summer banger. And to be sure, it stands in stark contrast to the rest of the album, yet what may initially sound jarring ends up being a decent track after a few listens. “K for Kelson”, on the other hand, is a definite winner, seeing Wilkinson try his ear at “tropical robot pop”, and crafting an infectious poolside hit. Other tracks see him revisiting the styles that became his trademark on Ambivalence Avenue. “Light Sleep” for example works the funk vibe in similar fashion to “Jealous of Roses”, and “More Excuses” sounds like an extension to “All the Flowers”. “Artists’ Valley”, works a crunchy Fly Lo beat and a smooth bass line outro, that’s perfect for bobbing your head during more ‘chilled out’ moments. The title track is a wandering blurry soundscape, reminiscent of BoC, and closer “Saint Christopher” may indeed be the album’s best track, featuring a light 4/4 beat and high-hat shuffle driving three interweaving guitar lines for six beautiful minutes. It’s brilliant production and a great outro to the album, and perhaps a sign of even further sonic evolutions. The term ‘bokeh’ comes from the Japanese and has to do with staring at the out of focus areas in a photographic image; Wilkinson attempts to do this with your ears and mind, and for the most part, he succeeds. With Mind Bokeh we see Wilkinson reworking the best moments of Ambivalence Avenue and trying out a few new styles as well. 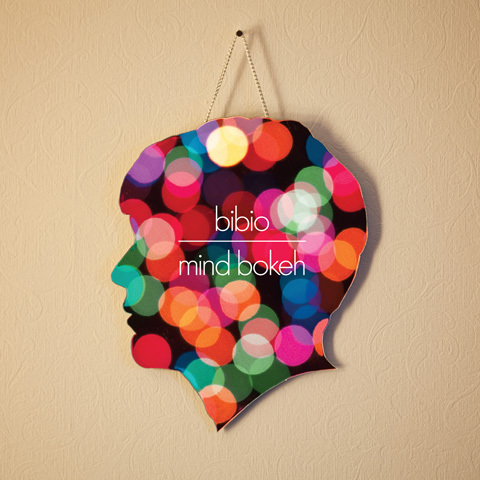 It’s not a full leap forward, but Bibio 2.5 has got it going on.